United will be looking to shock defending champions Chiefs, and book their place in the semi-finals alongside Ajax Cape Town and Bidvest Wits. The other quarter-final game is between Mamelodi Sundowns and Bloemfontein Celtic. For the Maritzburg United board, who for so many years have run the club without a major sponsor, it will be a proud moment when the Team of Choice line-up in Soweto tonight. "Of course there is satisfaction for me and all my colleagues on the board," chairman Farook Kadodia told PSL.co.za. "And that's for one pure reason, which is that we've been running the club purely on whatever income the club makes and whatever finances we've been ploughing into the team from time to time. "… the positives are there now that we managed to break into that top eight bracket. This certainly gives a bit more recognition to the brand. The brand needs to be recognised more and can't be seen as one that's associated with fighting relegation all the time. "The fact that we ended in the top eight and are now challenging in the MTN8 gives the brand some valuable credibility and it will obviously get corporate South Africa looking at us a bit more favourably now. "It's the first part of our dream, finishing in the top eight, and I firmly believe it was long overdue. We now need to consolidate our position and even make gains this year, so that is our aspiration." 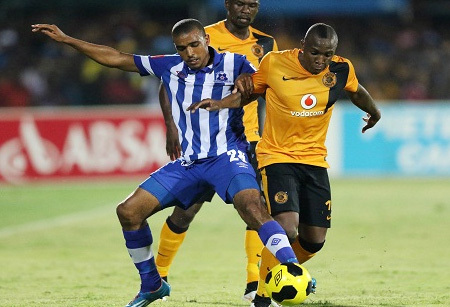 Team of Choice skipper Ashley Hartog is hoping to be able to catch Chiefs off guard, AmaKhosi head coach and former Maritzburg mentor Steve Komphela still looking at the combinations available to him since moving to the Soweto club a couple of months ago.